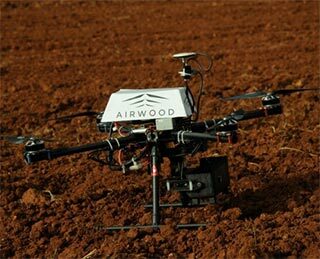 Airwood's patent-pending drones are retrofitted with multispectral cameras and fly around plantations capturing real-time data on weather, water availability and crops. It also provides advanced nutrient testing and soil measurement services. This can help farmers monitor plant growth and yield. Airwood was incubated at IIT Madras in January 2014. It is led by co-founder and CEO Vivek Rajkumar, an alumnus of the institute who has previously worked with consumer goods maker Procter & Gamble. Rajkumar couldn't be immediately contacted for a comment.